Enhanced Campaigns continue to grow in importance in the world of paid search marketing – which is already a formidable discipline that’s in a constant state of change. But it can be so rewarding when everything lines up! Now that there are more things to keep track of than ever, let’s discuss an increasingly important factor in search engine marketing (SEM): Enhanced Campaign modifiers for geo and device. We’ll also cover exactly how you can make the most of one of the most important types of modifiers – geo – in specific. 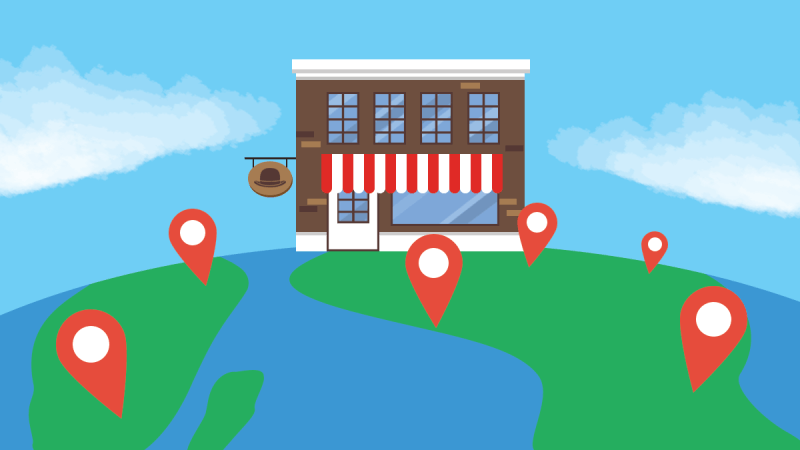 Finally, we’ll discuss how you can use geo with smart local search practices to set yourself up for as much storefront traffic as possible. And of course, at long last, Google has finally launched separate device bidding. Now, advertisers can separate bids for tablet from mobile and desktop. Enhanced Campaigns and their modifiers have been a boon for SEM. Of course, crafty paid search professionals had been using geo-targeting techniques for some time. However, these useful tools have streamlined the breaking out of audiences by time, device, and geo to help us find the best prospects whenever – and wherever – they search. They’ve also opened up an entirely new world of possibilities for advertisers to target prospects. Now, we can target mobile in transit-heavy neighborhoods as prospects go about their morning commute. Hours later, we can target them on their desktop, as prospects work at their terminals throughout the day in their city’s business district. And we can even target prospects on tablet as they do last-minute bedtime browsing before calling it a night in residential ZIP codes.“Near me” searches have increased more than 34 X since 2011, and these high-intent queries mean a potentially huge windfall for your company if you know how to put the power of geo to work for you. Depending on your business/target audience, consider putting Enhanced Campaigns into practice by combining geo modifiers with demographic modifiers such as age, income, and family makeup. For example, are the best leads for a toy retailer on a Saturday night partying in the nightclub district? Actually, they’re probably spending a quiet evening at home among your target city’s residential ZIP codes. A simpler example: the best lunch spots in town are often served well by increasing their mobile bids as the clock ticks closer to noon. Let’s extend the above example of our toy retailer. This business would do well to increase bids in quiet, residential neighborhoods and decrease them for Nightclub Row. Conversely, the owners of Nightclub Row will likely want to decrease their bids for quiet, residential neighborhoods. According to Google, ads with call extensions increase click-through rate by 4-5%, and lead to strong observed conversions. Google has found that 70% of mobile searchers use click-to-call to call businesses from search results. Ensure you have a search-specific number that you can use for call tracking to measure performance. It may even be worthwhile to consider sourcing a comprehensive call tracking solution that integrates with your search management platform. Including the phone number for your company directly into your ad units is a powerful tactic to target users in relevant geos near your business. I highly recommend it! Search isn’t just for pure desktop users anymore. Google announced last year that mobile search queries have surpassed desktop queries! Also, with half of all mobile queries searching for local information resulting in storefront visits, it’s now more imperative than ever to optimize your website for a mobile browsing experience. This alone should prove the importance of Enhanced Campaigns – and it’s just as important as to make it as easy as possible for mobile users to browse, understand and convert. These are a few of the tools I’ve come across in my recent travels. I hope you’ll find them useful. It’s never a bad idea to make sure you’re as up-to-date as possible on every aspect of your campaigns. This data is all at your fingertips. I recommend regularly reviewing multi-dimensional stats for Enhanced Campaigns like time of day, geo, and device. They will not only better inform your bidding strategies, but will also help you better understand your customers, their schedules, and, ultimately, their needs. Search marketing continues to be an endlessly fascinating and challenging field, and I look forward to continuing to explore it with you.